There are a number of issues with Arkoun’s argument as presented here. Arkoun’s comments on al-Suyuti’s famous handbook to the Qur’anic sciences, al-Itqan, have a number of factual errors. For example, his claim that Abu Bakr ibn Mujahid was responsible for the “final changes made to the Qur’an” is a truly strange and unique assertion. Abu Bakr ibn Mujahid was did not make any changes to the Qur’an, but at the beginning of the third Islamic century he made a list of some of the well-known recitations of the Qur’an, and his list became widely accepted. However this list was neither intended to be nor was it taken as a final or definitive word on the acceptable recitations of the Qur’an. The idea that ibn Mujahid did or even could make any changes to the Qur’an should be easily enough dismissed when we look at the work of his teacher, Muhammad ibn Jarir al-Tabari, the famous Qur’anic exegete who authored the genre’s most seminal work which influenced all later works of Qur’anic exegesis. 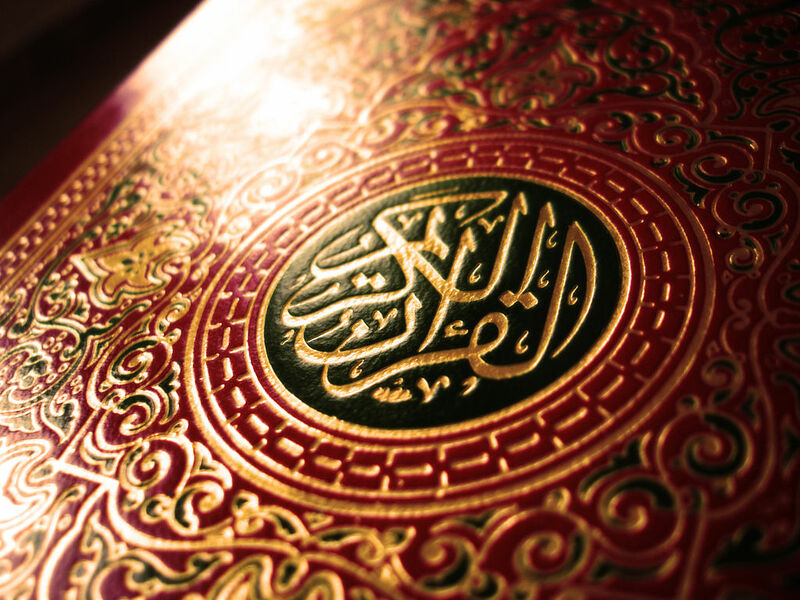 Let’s compare the Qur’an the ibn Jarir al-Tabari explained –before ibn Mujahid – to the Qur’an we have now – after ibn Mujahid – and see if we can find any changes. By the way, although your post has the name “Abu Bakr ibn Mujahid” in English, the accompanying dates and Arabic name belong to the much earlier Mujahid ibn Jabr. I don’t know if this mistake is in Arkoun’s original, but al-Suyuti definitely mentions Mujahid ibn Jabr more than once in al-Itqan. It is more likely that Arkoun is referring to Abu Bakr ibn Mujahid. But knowing what I have mentioned about Abu Bakr ibn Mujahid above, it would not be surprising to find that he was only mentioned in al-Itqan once. I believe I found that place [here: http://library.islamweb.net/newlibrary/display_book.php?bk_no=68&ID=57&idfrom=57&idto=58&bookid=68&startno=1%5D and if one were to read all of what al-Suyuti mentioned here, this section discredits Arkoun’s assertion that “the historicity of [the Qur’an] has been largely set aside as a topic of reflection”. This entire section traces in fine detail the transmission of the Qur’an from teacher to student from the time of the Prophet for the first 3 centuries of Islamic history to the time when Abu Bakr ibn Mujahid made his widely embraced list of the 7 famous reciters. And if one were to look at the surrounding chapters, one would find several in either direction dealing with topics such as the collection and arrangement of the Qur’an into the form we have now, its ongoing oral transmission alongside with its written form, those who transmitted it, critical discussions of the veracity of the different oral chains of transmission and their value, etc. All of this is common fare for classical, respected, orthodox scholars like al-Suyuti as well as those who preceded him and until today. I have a forthcoming translation of an excerpt from al-Zarkashi’s famous handbook of the Qur’anic sciences discussing how ibn Mujahid made the selections for his list, for example. There are a number of other issues with Arkoun’s argument (for example, anyone who read the verses of inheritance in surah al-Nisaa’ can see that inheritance is not limited only to male relatives), but seeing as Arkoun made his factually incorrect comments on al-Itqan and its contents the launching pad for the rest of his argument (as presented here, anyways), the rest of his argument would seem to be on precarious footing to say the least. So it is not that Arkoun’s conclusions have become outdated; they were founded on false premises from the beginning. Classical scholarship in fact does address many of the issues Arkoun claims they have overlooked. This is not the first time that I have seen members of Western academia make sweeping but false claims about traditional Islamic’s lack of attention towards the history of the Qur’an or critical inquiry into it. Sadly, those who make such claims are often unfamiliar with the Islamic scholarship they criticize, and those who call for reforms often were never well-grounded in the traditions in the first place.